Colombia has been amazing so far. I forgot what a beautiful country it is, and everyone has made us feel so welcome. Jack has been awesome – I think this kid was meant to travel. We’ve been all over the map since we got here, pushing his bed-time and his meal time, but he’s been sleeping, napping and eating like a champ. After arriving late Thursday night, we spent the first couple days in Medellin. The temperature is always between 25-30 degrees so I try to spend as much time outside as possible (I’m sorry to my fellow Canadians who are currently experiencing -30 degree weather). 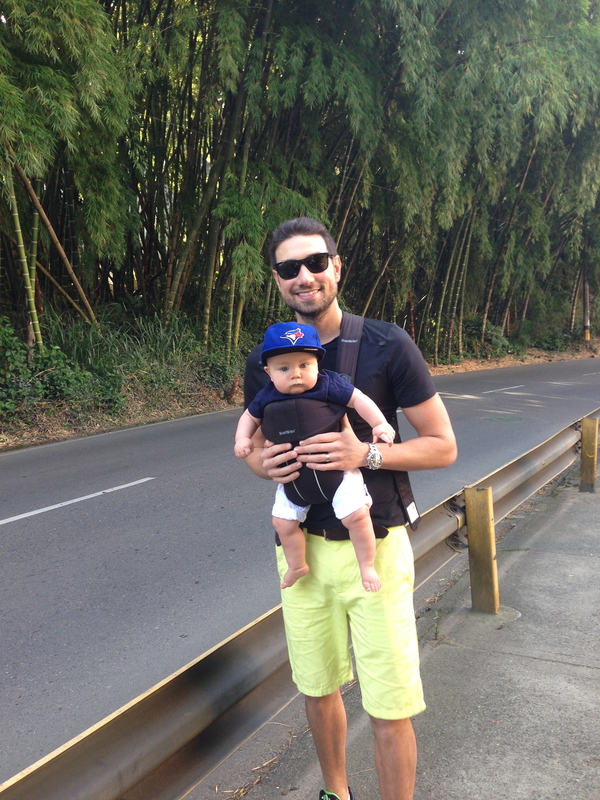 Morning walk with my boys in Medellin to pick up some breakfast. 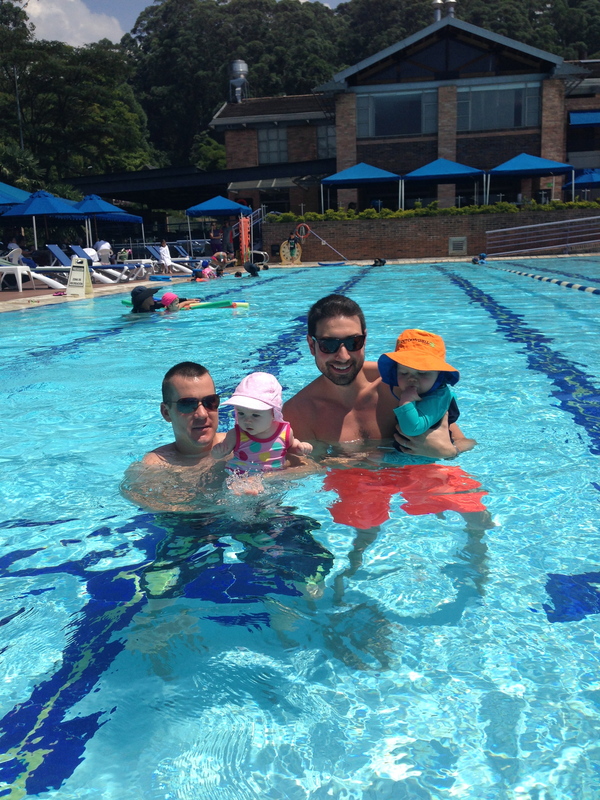 Saturday morning swimming lessons with the dads & babes. 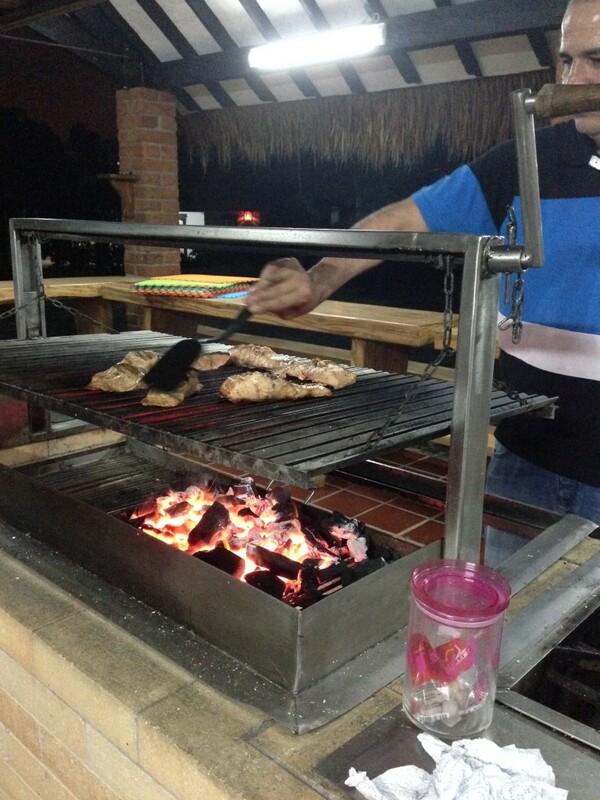 On Saturday afternoon we decided to head to Copacobana where our friends have a vacation house. 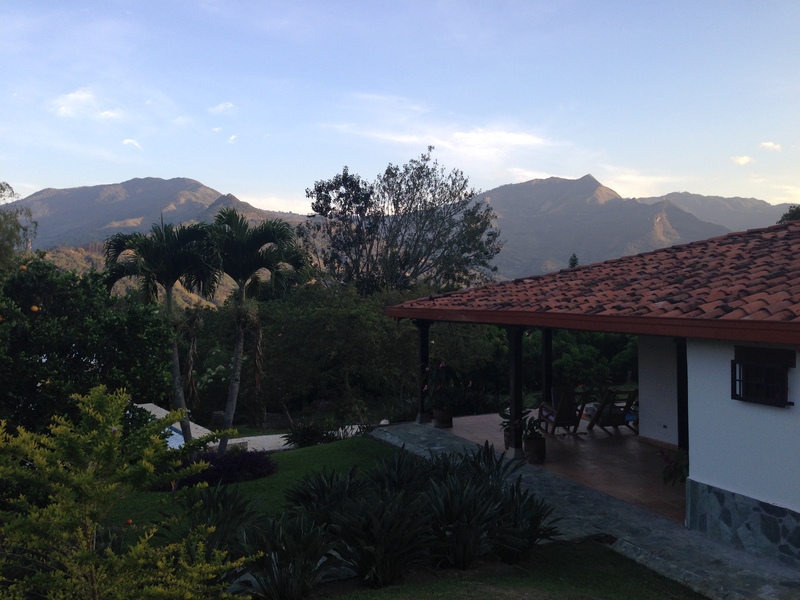 It’s 30 minutes from Medellin and was a beautiful spot for a weekend getaway. Salmon cooked to perfection on a traditional charcoal BBQ. 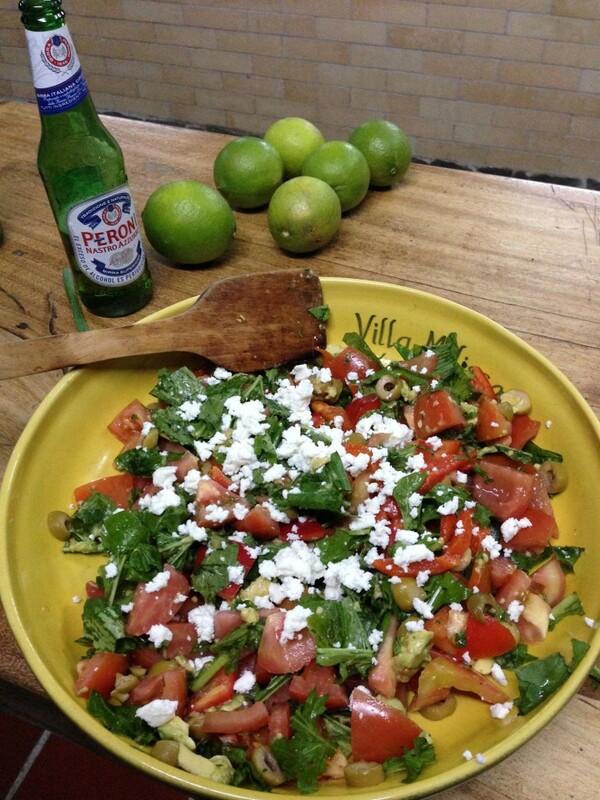 spinach, tomatoes, olives, avocado & feta cheese. A beautiful view to wake up to on Sunday morning. 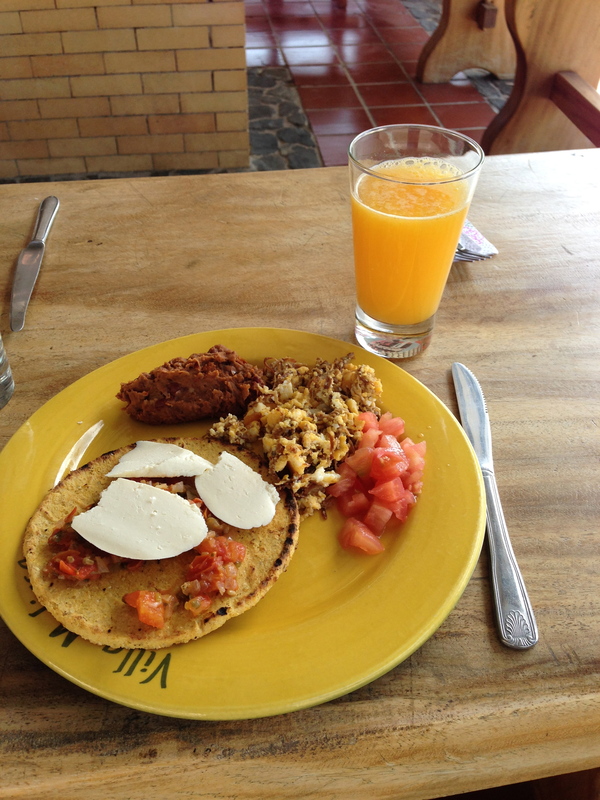 Traditional Colombian breakfast has become one of my faves – eggs, an arepa (corn tortilla), quesito (soft cheese) and hogao (tomato salsa with onions and olive oil). They usually have a late breakfast, a mid-afternoon snack and than an early dinner. 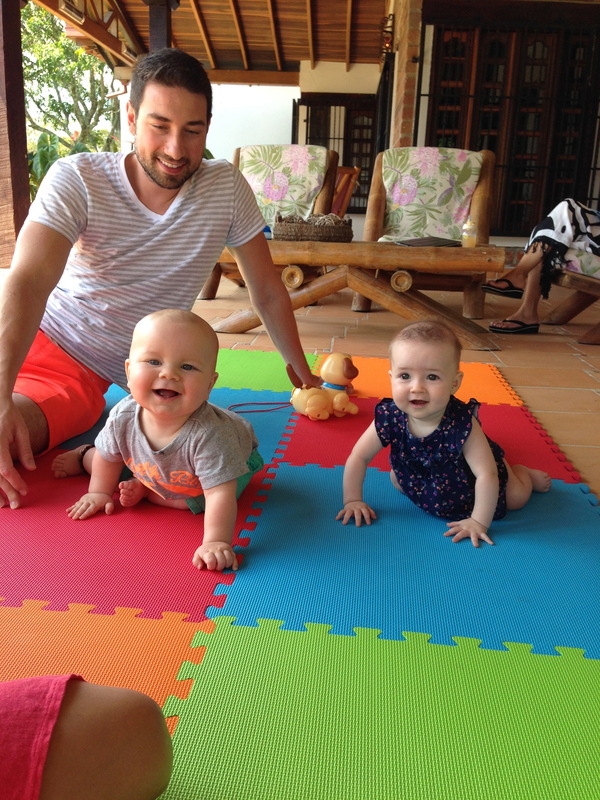 Jack and Alysia learning to crawl together! Sun setting in the mountains. 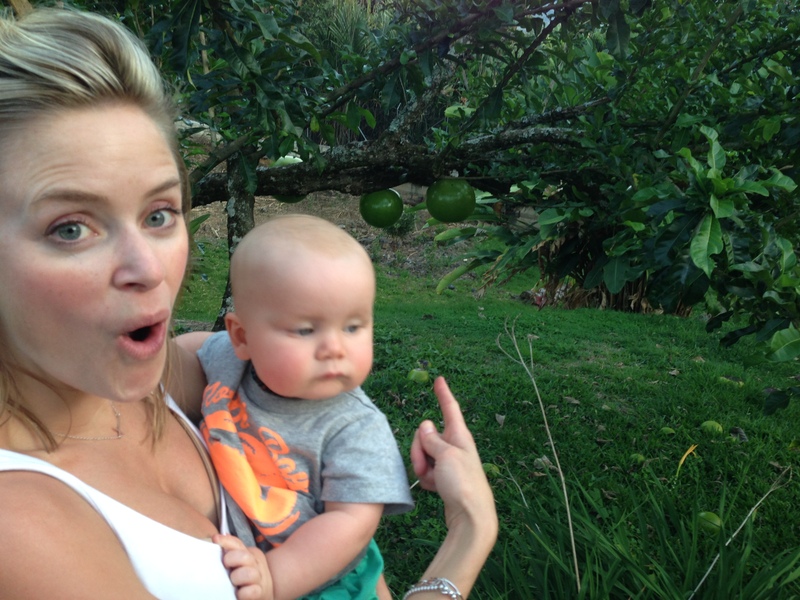 Giant fruit! Not edible, but when hollowed out they’re used as bowls. 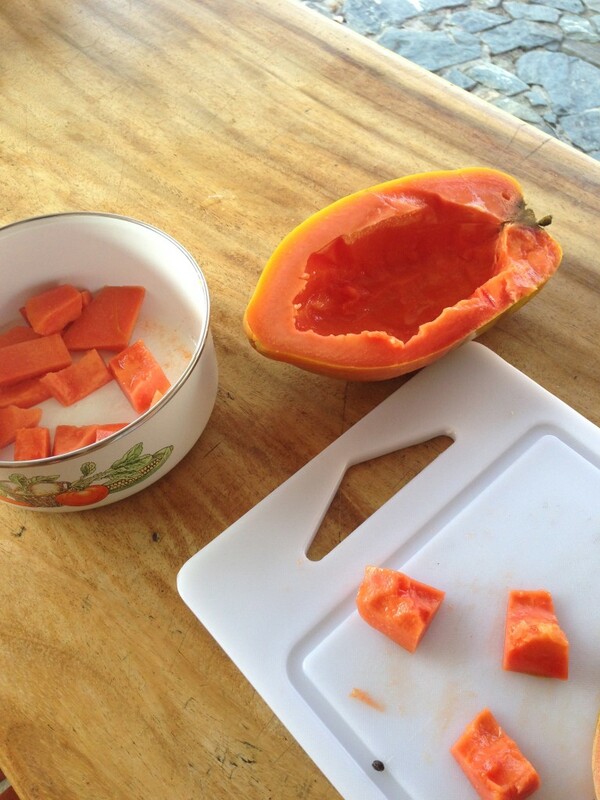 Papaya and orange trees were all over the property. 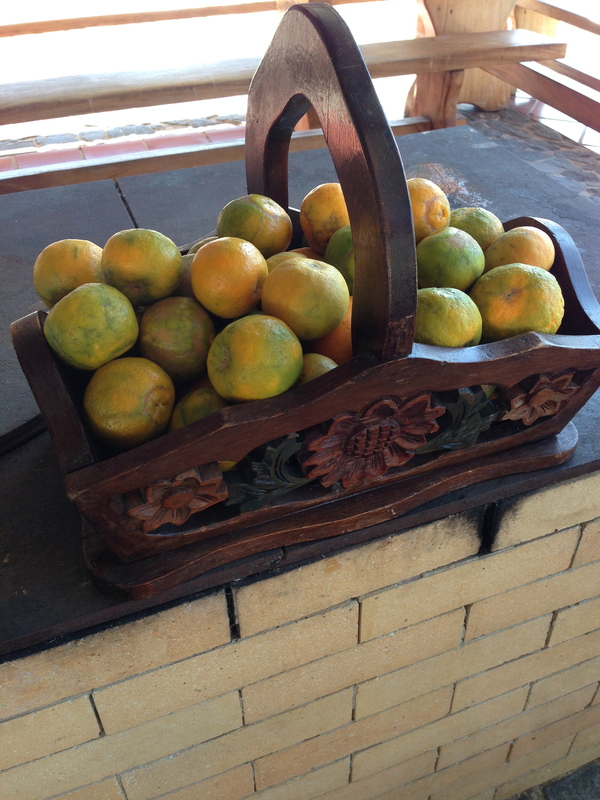 The smell of orange blossoms and fresh-squeezed OJ every morning was truly amazing. That’s it so far! We’re spending a couple more days in the city, and than heading to another finca (vacation house) this weekend. Stay tuned for more pics!